I've said before how surprised I am at the increasing availability of high quality turntables. There was a time – even 10 years ago, where you got the impression that these were chasing an increasingly small market but of late new vinyl sales have rocketed and it seems that every 20-year-old into music is looking to buy a turntable. This isn't really the place to speculate about why this volte-face of the market has happened, but it has provoked ever more new manufacturers into the marketplace. Some of those are literally one-man bands, or at best cottage industry with maybe a couple of models. Others, most notably Pro-Ject have a bewildering range of models to cover all but the most esoteric price points. 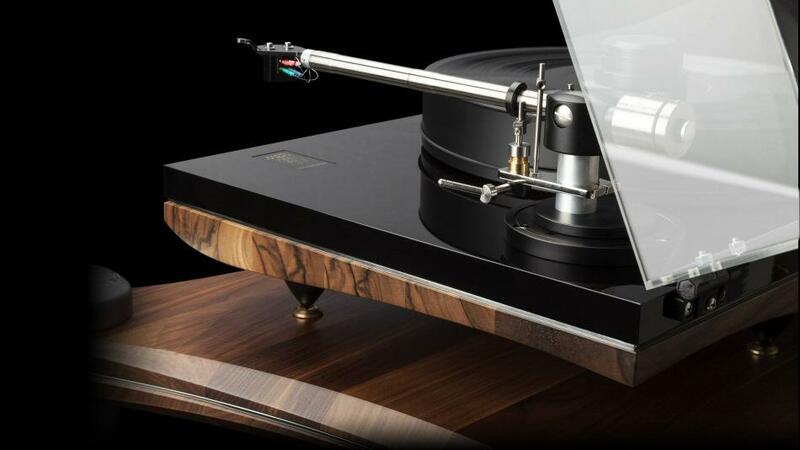 Gold Note fall into the latter category with half a dozen turntables ranging from mid-price to ultra high-end and which are backed up by a range of arms, cartridges, phono stages, amplifiers and speakers. 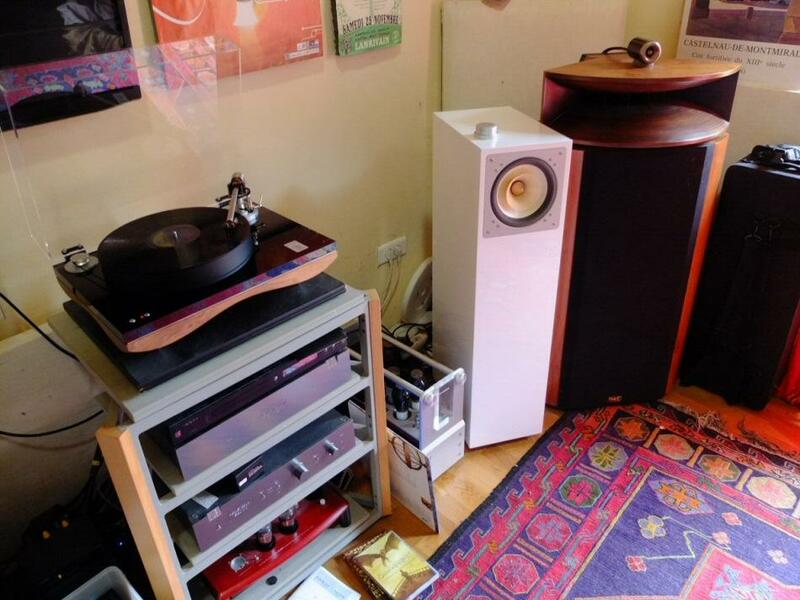 It appears to be a coherent range and for this review I was sent their Mediterraneo turntable complete with the B5.1 tonearm and Tuscany Red cartridge. Two points here for other manufacturers to note – Gold Note were a pleasure to deal with and didn't mess me about (It was me that was a bit tardy producing this review!) and secondly, by supplying a complete package I was relieved of the problems of finding matching components – something that makes my job a lot easier. 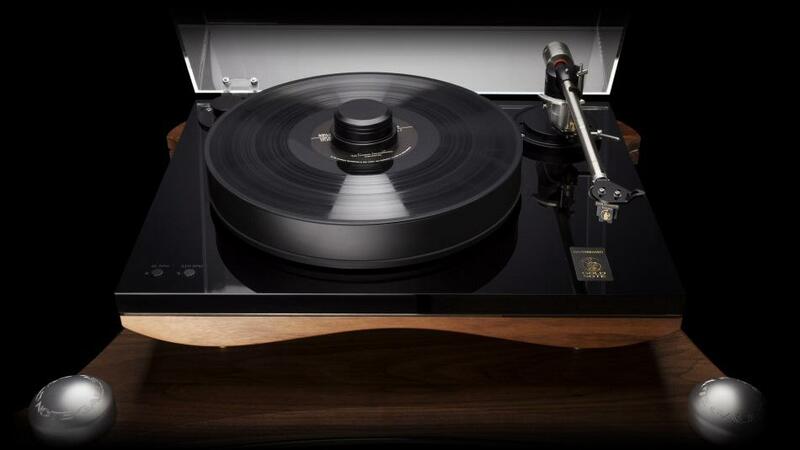 The Mediterraneo is available as a turntable package with the B5.1 or B7 Ceramic arms – the advantage of this to the customer is much as it is for the reviewer – no problems system matching. Increasingly manufacturers seem to be using this approach, and whilst there is some mileage for an enthusiast to try umpteen combinations it's not very fruitful for most people. One simple example is that the Mediterraneo is a very compact turntable and incorporates (cue round of applause) a 'dust-cover'! Now if the turntable was designed for greater compatibility then inevitably it would need to be bigger. As it is the clearance between arm and dustcover is minute, helping with the overall neatness of the design. 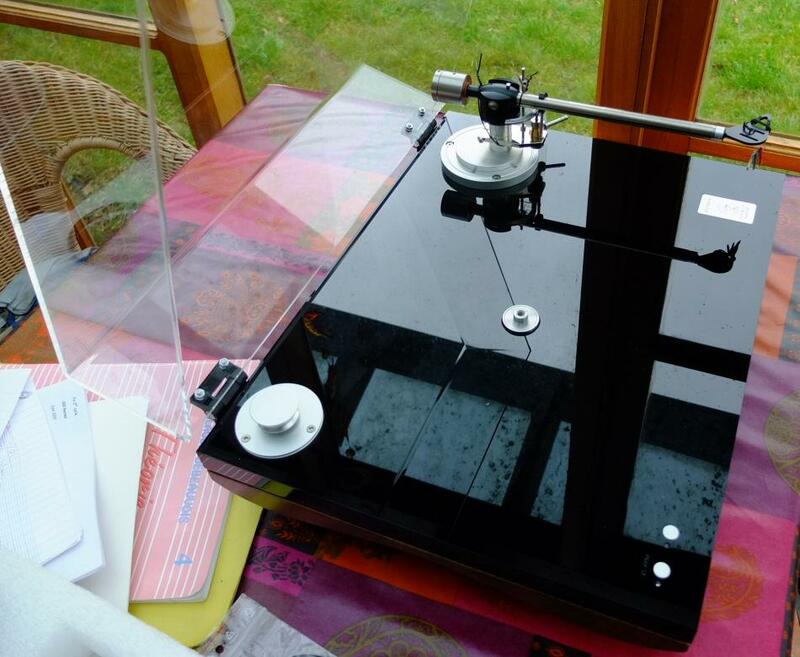 In contrast the turntable I chose to compare it with – the Dr Feikhert 'Woodpecker' is capable of taking many arms right up to 12” models and is considerably larger as a result. But enough of the frippery – and on to the design. Starting at the bottom we find three substantial cone feet. 90% of turntables have four feet – it's a nonsense – if you have four feet inevitably one of them will be doing little or nothing and the other three have wildly different loads. If you want solidity and even loading you need three feet – no question. Above them is the gorgeous sculpted wooden lower plinth in Walnut – you can also have it in black or white MDF at lower cost cost but why anyone would choose this I can't imagine. The manufacturer claims that the curves all help with vibration control, this may or may not be true but personally I don't care as it looks perfect. Above this is a thick stainless steel sheet upon which sits 20mm or so of polished black acrylic. These three layers are joined in some clever way to control vibrations and the upper layers support the electronics and bearing. The bearing is a mystery – it's totally sealed and involves a tungsten bearing and bronze sleeve but beyond that it just gets on with the job. If you look at the picture without the platter you'll see that the bearing terminates above the plinth in a small disc which takes the platter that is then clamped to the bearing with a screw from above. It means the bearing is well below the centre of gravity (so has a 'falling moment') and so getting the tt absolutely level is even more important that usual. The platter itself is a 45mm thick lump of clever plastic ('Sustarin' - a kind of POM made by Bayern Germany) that looks almost exactly like the Feickert platter. There are two touch switches sensibly placed at the front left of the plinth to control speed (33/45) with adjustment available (but not needed) and the power comes from a wall-wart with the clever electronic stuff in the plinth. The motor is an AC 12V low voltage synchronous type and drives the outside of the plater via a flat belt – conventional and effective. And here an interesting point – Gold Note claim a very conservative 0.1% wow and flutter, the unit I had measured at 0.03% which is excellent and I could detect no motor break-through - bravo. The arm is a simple and clean design – straight Titanium armtube, large headshell and single counterweight. Anti-skate is done by thread and weight which is difficult to set up so that the weight clears the arm but that's the only quirk. Everything seems built in-house (no generic arm lift) and the geometry looks good with all masses in line. The only slightly unusual aspect is that the horizontal bearing is set at 90 degrees to the armtube rather than the more usual offset to match the offset of the cartridge – in theory this will provoke tiny errors in azimuth over warps but it doesn't bother me... The bearing also shows a little play which is a design feature much as it is with Roksan's Artimiz. VTF, VTA and azimuth are changed with grub screws and wiggle. Lastly the cartridge. The Tuscany Red is a high-end device and would grace turntables beyond the market of the Mediterranio as you'd expect for the not inconsiderable sum of 5000€. An Aluminium, drilled body, special micro-ridge stylus, Boron cantilever and Sumarian Cobalt magnet show its ambition. Set-up was limited to bolting on and aligning the cartridge – everything else was ready to go, a clear demonstration of the advantages of the package approach. This is a very easy turntable to use. The three adjustable feet make it easy to level and otherwise it's just a question of fitting and adjusting the cartridge. It is as simple as it gets. Operationally it is good as well, the arm cue works smoothly – if less damped than some (which I actually prefer) and a simple press of a button has the platter up to speed in 5 seconds or so. There is an operational quirk though in that if you put drag onto the platter it will slow and you can hear the motor 'cogging' – it then fails to get up to speed. Because two of the turntables I use have very heavy platters that take a while to get up to speed I'm in the habit of dropping the record onto the moving platter. This doesn't work with the Gold Note as the platter slows slightly and then doesn't return to the correct speed. As my 'habit' is probably a bad one this isn't of consequence as all you do is stop the turntable between plays – as you should do I guess, but it's a behaviour I've not seen before. So with the preamble over I guess it's time to produce some listening notes. Immediately it sounds 'good' – there's nothing that jumps out of you as a fault, no bloom, no edginess or anything like that. It's already something that puts a smile on my face as I know I'll enjoy reviewing it – sadly not always the case... On the other hand it didn't leap out at me because it was doing something very different as the Pro-Ject Signature did for example. Immediate impressions were that here was a very good turntable for the price and so over the next month I played with it as my main turntable to try and fathom out exactly how it stood in relation to other turntables both here, and that I have reviewed over the years. Standing in the wings were the Dr Feickert Woodpecker + SME V12, The Acoustic Solid with Audiomods and my Opera LP5.0 with ST 600 arm – a tough bunch. As I mentioned before, the Mediterraneo didn't immediately shout out at you but a few characteristics were apparent. The first were excellent bass transients – the leading edges of kick drums, slapped bass etc very well defined, and this wasn't at the expense of an overly dry presentation as given full-range speakers there was weight behind the initial impact. I love the bass on Ricky Lee Jones' 'Danny's All Star Joint' – the picked, walking bass-line showing tremendous attack and characteristic bounce. It's quite a dry production, far more so than Simply Red's 'Sad Old Red' which is as fruity as a jam factory. A tough test, the bass climbing up the registers will trigger all sorts of resonances if there's a weakness in the chain but here the Gold Note was up with some of the best. It didn't have the weight and warmth of an Orbe or the Pro-Ject or the smile inducing exuberance of the latter, but it was well handled all round. More to the point on both these bass-led tracks the bass didn't end up dominating but rather took up a natural lead. I've a lovely copy of Gershwin's 'Rapsody in Blue' (for Jazz combo+orchestra) where the opening bars are punctuated with a 'Grosse Caisse' one of the few acoustic instruments to really go deep, and its gentle underpinning of the introduction was well handled with the strike audible – this is very subtle and some systems miss it entirely. With this foundation and a very low noise floor there was plenty of room for the midband to express itself with (as always) female vocal being the hardest thing to pull off. I spent many a happy hour with my daughter (she's studying 'Musical Theatre') listening to old film scores and recordings of Broadway shows – the kind of punchy delivery these singers produce was well to the fore along with the more subtle elements, likewise with soul singer's like Arethra the control and dynamics of these incredible artists, unsullied by electronic trickery, left me with considerable admiration of their talents as well as those of the Mediterraneo (part of my daughter's attempts to convert me to finer things). To go from the sublime to the ridiculous I slapped on my copy of PJ Harvey's 'Kamikaze' – a record featuring the thickest possible mix that almost completely swaps the fabulous speed-drumming of Rob Ellis – a tour de force that the Goldnote just manage to rescue from the swamp – I've had fine turntables (the Pro-Ject for one) to leave this as an amorphous lump of noise between the speakers. For things higher up I have many recordings that test a turntable's abilities, not least Madonna's 'I love New York' with it's recording of the street in the opening – then masses of echo and swirling phase effects as she opens up. It's one of the great intros (and of a pre MP3 age where pop records now need to 'start' immediately) and if reproduced well can have your heart racing in anticipation before the main event. This again shows good handling of transients in all the electronic buzzes that can lose their edgy texture very easily if a turntable has a soft character. I'm sure you can imagine that over a period of two months a lot of records were spun on the Gold Note and rather than continue to bore you with cherry picked high-points or try to impress you with my record collection it's better to try to pin down what makes the Mediterraneo tick overall. The natural thing to begin with was to compare it to the Feickert Woodpecker because though they look totally different they share many features, a DC motor, near identical platters and a damped, solid plinth. Of course the Woodpecker came to the party armed with an SME V12 and the Dynavector DRT-1t – the former as expensive as the entire Gold Note turntable and arm and the latter more expensive still. Though it would be nice to report major differences the reality is that both offered similar abilities, most notably an even handedness and ease with anything you cared to throw at them. I often get asked for recommendations for turntables and such a lack of flaws or overt character makes turntables like this easy to suggest, knowing that they will perform to a high level but not overbalance supporting systems. Back-to-back the Gold Note was more competitive with the Woodpecker than I expected given the difference in price of the arms and cartridges fitted. I thought the Mediterraneo had a lighter, rather quicker presentation especially with those bass transients. The mighty V12 dug deeper and was rather more dynamic, but to even things up a little I put the Audiomods arm on the Woodpecker – bringing the package of arm and turntable very close to the Mediterraneo. The Audiomods arm is a howling bargain and I tend to have it as a reference regardless of price and it showed it's colours once again – the two turntables being difficult to split even with cartridges swapped. I'd go as far to say that they were close enough to be tricky to split 'blind' when playing different records. Spinning identical copies of the same disc showed the Mediterraneo to retain that dexterity in the bass and I have to say I think its handling of both ambient and spacial information to be slightly ahead – the Woodpecker being a little heavier and more solid. More general comparisons spring to mind, it has great pace without being frenetic (for example an Orbe lacks pace and a Xerxes lives for it), it keeps vocalists centre stage rather than pushing them slightly back like the Pro-Ject and has a nice way with imaging, not the biggest or widest soundstage, but something realistic and more important utterly stable – no doubt helped by the speed accuracy. I enjoyed all kinds of music with it – Jazz, Metal, Stravinsky, Gershwin you name it and at no time could I pin it down as a 'rockers' turntable, or something for chamber orchestra, it just handled it all with aplomb. My God aren't we lucky. 20 years ago I thought the classic turntable's days were numbered and now we seem to have more and more from increasingly established manufacturers. I've not heard a bad turntable for a long time, but sometimes I get one in my hands that I think I'd like to keep on the shelf for myself;-) Why the Mediterraneo? Well for one it has a massive advantage over all the other turntables here – a decent dust cover! Wood fires, old furniture and local countryside that sheds pollen like rain means my house is a dust-magnet. This one simple feature would put it at the top of any list and I'm not so sure that there aren't a lot of you out there in the same position. But beyond that it is a very easy turntable to live with. It's very, very pretty, small, simple enough for visitors to use and sonically very much on the pace in its price bracket. Personally, given the price it'd be my first choice at the moment, but one of its biggest assets – it being a package, is also a weakness. I'd live with the Mediterraneo but only with another turntable capable of taking all the weird and wonderful arms I've collected over the years – especially 12” devices. But I suspect that for most of the time I'd probably use the Mediterraneo and I think the market for people wanting to do this sort of swapping about is falling. Nowadays people want to buy something that just works and for that I think Gold Note has hit the nail on the head. 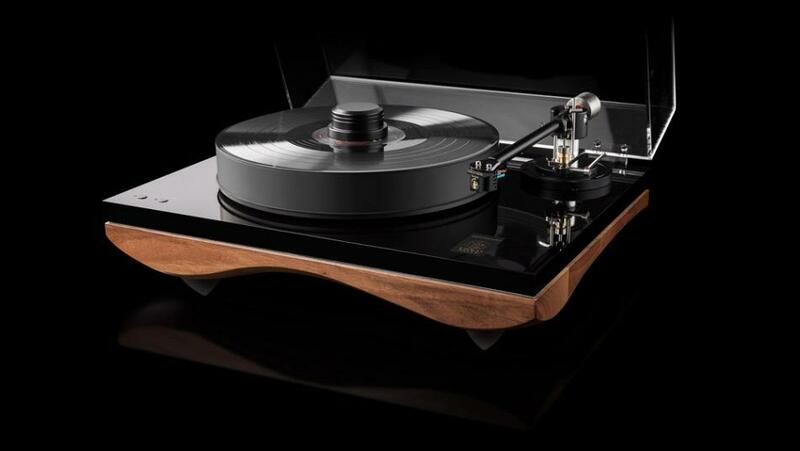 So a turntable for music-lovers with an eye for style as well as good sound perhaps, rather than audiophiles – I like to think I wear both hats ;-). *Note – I've not said much about the cartridge for the simple reason that I found it individually very impressive and I plan a short review of it as a stand-alone item. “The Mediterraneo is one of the very first unit created with the help of our current designer, Arch. Stefano Bonifazi, when he started working with Gold Note around 5 years ago. This partnership has been one of the fundamental steps during the transition from our previous phase - as you know we’ve been an OEM audio supplier for other Hi-End manufacturers for 20 years now - to the current stage since we now wish to create our own products to satisfy audiophiles thanks to the experience we’ve made over all this years.